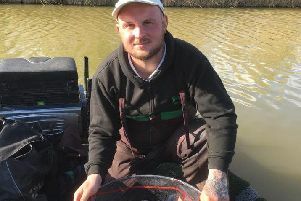 Steve Ringer was a winner at Ferry Meadows. The Peterborough DAA Ferry Meadows Open on Sunday was very well attended and attracted some of the country’s best bream anglers to the venue. Winner on the day was current individual and team world champion Steve Ringer. He caught 68lb 13oz of bream from peg 64 on Gunwade. He had to wait close to well over an hour for his first fish and had a bad last hour, which put paid to any chance of a really big weight. Ringer did let out a top tip after the match that only a few anglers have been using so far and that’s to hair rig two pieces of worm, nothing too complicated but very successful. Runner-up was city rod Mike Kirby, who also caught on long range feeder tactics to weigh in 62lb 3oz from peg 73 using double red maggot. In third place was Brian Ashley. He caught 37lb 12oz from peg 61 and was followed by Peterborough rod Ian Chestney, who was making his first trip to the venue for a couple of years. He caught 32lb 2oz from High Bank. Unfortunately the venue has yet to hit top form but there were enough good catches to tempt anglers back for more and with a spell of warm weather I am sure it will continue to improve. The next match will be on May 24.